We had some great sessions, this is the presenter setup just after a group had left. I did some sessions for Platform Expo today. I was taking about the joy of making things using the Arduino micro controller. Not a lot of people had heard of this amazing device before they arrived, but they sure had afterwards. I showed off a bunch of silly devices including my wedding lights, the Thingomatic, light panel, balancing robots and even did some programming. All in twenty minutes a session. Six times in a row. The audiences were all wonderful. At one point I told everyone that an Arduino board can be bought for two pounds fifty, which is less than a McDonald's burger. And someone called out "Does that include the chips?". Well played sir, well played. I've put some resources on my Arduino pages if you fancy getting started with this amazing device. You can find them here. Global Gamejam is awesome. Fact. If you're serious about game development, or just want to have a great time writing code and/or making things, then it is a great thing to get involved with. Iv'e been to a few in my time, and many years ago Simon and I helped organise the very first one in Hull. I'm pleased to be able to report that the next GameJam is at the end of January and Adam has got the registration site up. The event is running as part of Platform Expos 2016. For Hull students the timing is really nice, as it comes towards the end of the inter-semester gap week, so it won't affect your studies. Although it might help you get a job in the games industry if you do a really good entry. Simon, Liam and I took a bunch of Raspberry Pi devices into Hull today to do a bit of Minecraft and Hardware interfacing with folks who'd come along to Platform Expos 2014. Great fun was had, in spite of the rain which made carting the equipment around a rather wet affair. You can find the notes for the hardware exercise here. Getting to grips with interfacing. I learned something new today. I leaned that it is actually possible for Simon and me to leave the university at ten minutes past nine, drive to the middle of Hull, set up 15 Raspberry Pi systems (with keyboard, monitor and mouse), get parked up and have it all ready for a class at ten o’clock. Possible, but not exactly relaxing.And without the fantastic help from the crew at the venue, it would have been quite a different story. People, you were great. As usual with these affairs the first few minutes are as hectic as a very hectic thing on roller skates. But then everyone settles down, people get into the material and start writing code and making lights flash. I love it when I ask someone “Have you ever programmed before?” and they say no. And you can see from that they are up to that they are enjoying it and might just want to do some more one day. Some of the sessions were in the Ferens Art Gallery, which turned out to be an excellent venue. We were down to do four workshops of one hour each. And we had a two hour lunch break which we used to go and see talks from Richard Adams from Microsoft and Carla Prada of Soho Studios. Richard talked about the way that the business of making games is changing, and how companies like Microsoft are looking for Computer Scientists rather than great programmers to write for their latest systems. To me this makes a quite a bit of sense. Writing good code is one thing, but creating programs with an understanding of how the system actually executes your program means that you can make much more effective use of the technology. This is not always an issue, the speed of modern processors is such that they can often compensate for inefficient code. However, this is not the case in games, where you need to squeeze the greatest possible amount of performance from the platform. We cover this in the second year, when Warren introduces C++ and talks bout things like arranging your loops and tests to make best use of the way that the computer processes instructions in hardware. Good to hear an industry professional telling us that it really is important. Next up was Carla, telling us about the creation of new kind of interactive children’s entertainment character for Sesame Street. It was very interesting to hear about the trials and tribulations that you get when trying to motion capture and then animate puppets, especially furry ones. And it was also nice to hear what an occasion it is to actually meet “Big Bird”. Carla showed some of the motion capture scenes, and it was fascinating to see how the puppeteers make things seem so alive. Then for Simon and I it was time for a quick sandwich before going back into the fray for some more workshop action. Then we packed all fifteen monitors etc back into the cube and returned to the university, nicely in time for my 5:15 lecture, where I gave away some Platform Expo wristbands. A busy, busy, day, but well worth it. At the end of this week things get really interesting if you are into anything digital, and games in particular. 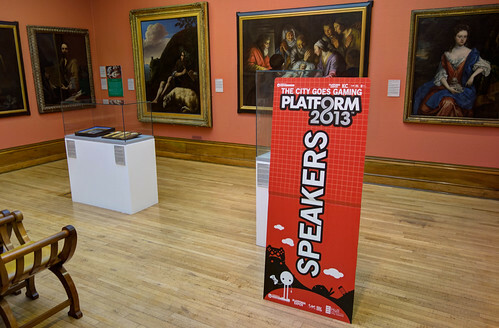 The latest incarnation of Platform Expos is hitting the centre of Hull. I always end up wondering how they get all the people along to speak, and manage to get so much industry involvement. But they do, and you can get the benefit of all their efforts by going along to the events this Friday and Saturday, all around the middle of Hull. You can find out the programme, and get tickets, here. Simon and I will be joining in on Friday, when we are doing some fun and games with Python, Pi and hardware interfacing. Simon is also giving a presentation on the Saturday too. Platform Studios will be showing off their games and if you have any kind of interest in things digital you should get yourself along there. Today I went to the Grimsby Institute for the first time. We were having a Platform Initiative meeting, so Simon, Louis and I all boarded the Cube Express and headed over the Humber Bridge. It’s a great location. We had the meeting in a brand new building that even has an "atrium” in the middle. I didn’t embarrass myself by asking where the “btrium” was, but it was close…. Anyhoo, the meeting was really good, lots of constructive comments and plans for the future. Everyone was really pleased with how well Global GameJam Hull went (thanks to Tom and Simon) and they all want to have another one (and don’t worry, we will). It is great working with these folks. It is like “pushing on an open door” in that everyone is keen to contribute and move things forward. We’ve got some great things we are going to be doing in the future. Can’t wait. As a way of preparing you for Global Gamejam Hull (you have signed up haven’t you) we’ve got an extra special Rather Useful Game Development Briefing next week. Louis Deane will be talking about Unity development. Rob Miles will be talking. The briefing session will be on the afternoon of Thursday 24th of January from 1:30pm to 3:30 in Lecture Theatre D, the home of the “Rather Useful” brand. You don’t have to sign up for GlobalGameJam in order to come along, but those who have signed up will be allowed to sit at the front. Global GameJam Hull is picking up speed. Registrations are coming in thick and fast but we still have room for more. We want to fill Hull Studio School to bursting with folks who are keen to make games and have fun. We were down at the venue making plans today and we’ve got most things sorted out, thanks to some sterling work from Tom, Simon and team. Networks have been tested and upgraded, venues selected and a fantastic poster designed (thanks for that Lewis, love the critic with the scary eyebrows). All we need now is you. If you aren’t convinced that you need to take part I’ve jotted down fifty reasons why I think you should come along. We will have professional game developers taking part. Taking part will give you something to talk about at job interviews. And to put into your portfolio. There will be Free Food. You might win a big prize. There will be toys to play with. You might get worldwide fame and recognition. Or you might just get your next job. It only costs five pounds to register. You might get to play with crayons. You can bring your friends with you. You can make some new friends too. You can forget completely about the outside world for 48 hours. You might become a viral sensation because of your awesome turn on our live webstream. You can make a board game if you like. Or bring one along and play it. You get to see what other people are up to in this area. And maybe even start a company with them. You get to take part in a worldwide event. It will be nice and warm. You can wear what you like (But please wear something). You will get a shiny nametag to wear. There will be movies to see. You can even choose the subjects of the talks. You might meet a childhood hero. You can stay the whole 48 hours if you like. Or you can sneak off home for a shower and a power nap. We will have fizzy drinks and sweeties available (great at 4:00am). You can bring your guitar if you like. You can mention it on Facebook. And maybe even blog about it. The more people that come along, the more fun it will be. TV on a Saturday night is rubbish now that Strictly has finished. It is certainly a great way to fill 48 hours of it. Actually, if you are serious about getting into game development I really think you should come along. When you go for a job, and you are sitting alone on your side of the big desk, they are going to ask you something like “What have you done with your life?”. You could easily spend half an hour talking about the fun you had at GlobalGameJamHull, the people you met, and that silly game you published as a result. As you say those things you will see the interviewers checking things off in their heads “Works well in a team – check”, “Likes making games – check”, “Not afraid to put their ideas out there – check”. And so on. I can’t guarantee that going to GlobalGameJamHull will change your life. But I can guarantee that if you don’t go, you’ll miss out on the chance that it could. If you liked Three Thing Game, you’ll love Global Game Jam. It is the same, only the fun goes on much longer. Twice as long. It also lets you meet up with gaming experts and specialists in media and content creation, as well as programmer types. For Hull students it is pretty much perfectly timed, at the end of the inter-semester week, far away from any coursework deadlines. You must, must, must take part. Great things are destined to happen here…. Today we took a look at the site for the our Hull Global Gamejam event. 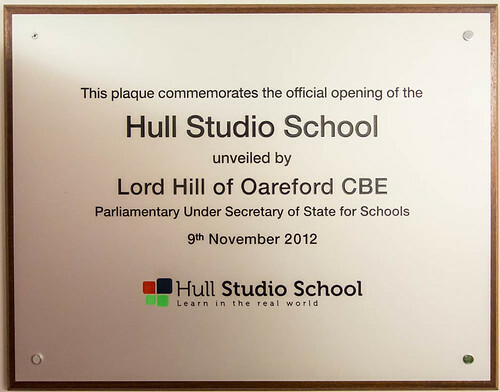 We are holding it at the Hull Studio School right in the centre of Hull. If you are serious about game development, or just fancy having a “Weekend of Fun”™ then keep the weekend of the 26th and 27th of January free next year. The venue has this entrance foyer with really funky chairs. We will have a registration site and a whole bunch of details about the event coming up soon. It is going to be such fun. How many of these folks will sign up I wonder? All of them, I hope. People, keep the weekend of the 26th and 27th of January 2013 clear. If you are a Hull student this is the perfect way to celebrate the end of your inter-semester gap week. 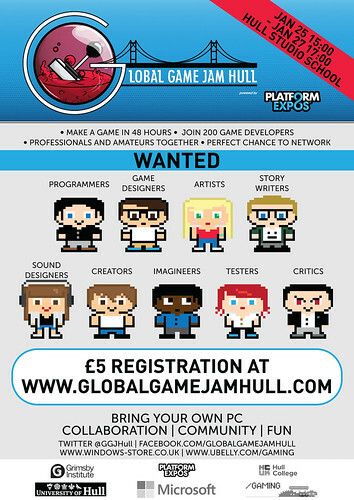 We are very pleased to announce that Hull will be taking part in Global Game Jam. This is a bit like Three Thing Game, but better and with more people. We are working in conjunction with the Platform Expos folks to put together something really special. If you are serious about writing games and want to make lots of new friends and learn stuff, then you must, must, must come along. We had a meeting today where we moved things forward and I got to meet some of the wonderful folks who are going to make it all work. More details soon. V. excited. I was invited to a Platform Expo meeting in Hull today. One way to make an entrance is to arrive late and then sit right at the front. So I did. Chairing the meeting was Alan Johnson, Labour MP for Hull West and Hessle. 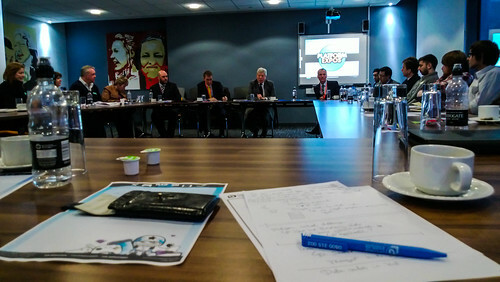 The meeting was all about Platform Expo, an on-going effort to put Hull on the digital map. Now, I’m on record as not liking meetings much. But this one was different. Everyone was pointed in the direction. And every one added value to the effort. We’ve got some great plans for the future, I’m looking forward to getting involved with them. If you are Hull student, all I can say at the moment is that there are some interesting things coming down the tracks…. 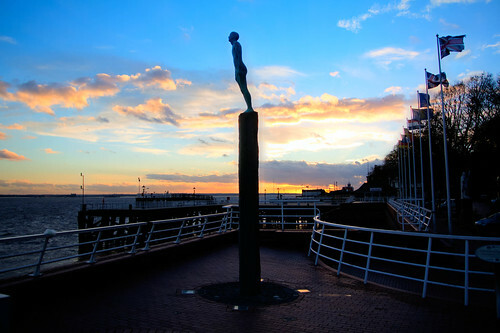 On the way out I saw quite a nice sunset over the quayside. Today’s Platform Expos debate was well worth the trip up town. Even more so because a bunch of our students had managed to make it as well. They, like the rest of us, found the conversation very interesting as he panel moved from Cloud Gaming, to networks (some really interesting opportunities coming to Hull with the rollout of fibre optic cables right to people’s houses and the coming of 4G to the mobile space) to, of all things, insurance and liability. I’d never really considered the insurance issues relating to games that run in the cloud, but as soon as you start letting players buy content in the game, using the so called “Freemium” model a whole bunch of liabilities suddenly appear. What if customers change their mind? What if you lose their content? What if someone “steals” content from another player. What if you inadvertently release sensitive data about your players? I’m not sure we have all the answers to these questions now, but one thing I am sure about is that if I was moving into that space I’d take some advice about it. One other thing I took away from the session was that as soon as you start selling stuff, even if it is 79 pence for a copy of CheeseLander, you are running a business. If there are a bunch of you working together you need to agree on who owns the intellectual property in the game you are selling (or how you are sharing it) and how you will share out the earnings. In fact, after the talk I approached Rob from Andrew Jackson solicitors and asked him if he would be willing to come and give a chat to our student about this. I’m very pleased that he reckoned he could sort something out. Next semester I’m going to be running some “Rather Useful Seminars” about stuff it is good to know and that is one subject that we’ll now be covering. After the hard nosed business talk we were able to have a go with Assassins Creed 3, which looks lovely. The demo was set on a pirate ship with a beautifully rendered environment and some lovely looking water. 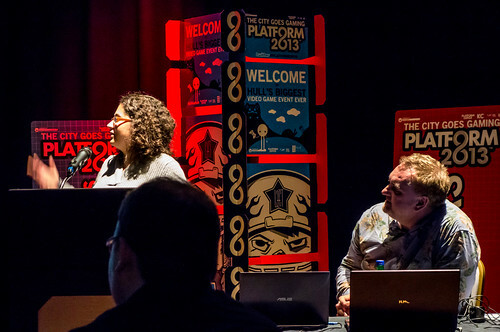 If you’re around and about Hull tomorrow and interested in the games industry you might like to drop into the Cloud Gaming debate organised by Platform Expos. They’ve got Chris Deering, Founder of Sony Computer Entertainment Europe, Nick Thopmpson from KC, Mike Hewitt from O2 and Jiveen Lal from Hiscox insurance, who are also sponsoring the event. 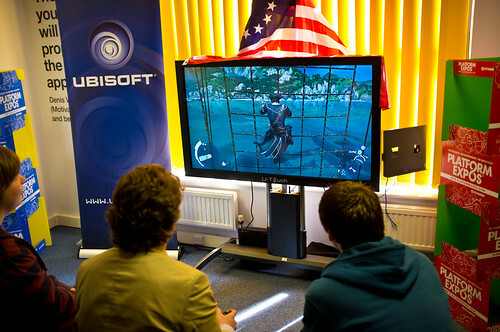 Also Ubisoft are bringing along a playable demo of Assassin's Creed 3 which will be well worth a look. If you want to go along send an email to ian.archibald@wtchumber.com and he will sort you out a ticket. Lindsay West counts off the good stuff, while the panel prepare for the debate. Three good reasons to live in Hull. The first two are pretty much self evident. (Although the second one only really makes sense once you’ve had some fast food locally). If you’ve not heard of Platform Expos, they are the folks that run digital events to promote Hull. The last Three Thing Game competition took place during Platform Expo 2012 on the University campus. Recently there was also Platform Doha, a very successful event at Qatar University. 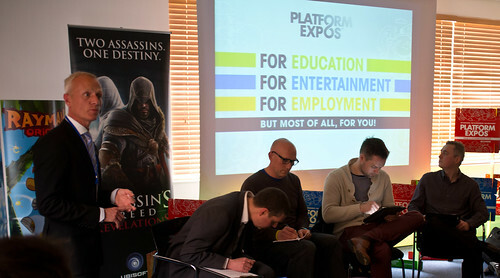 And today there was the first Platform Debate, themed on how to break into the games industry. We had a roster of speakers including Jon Purdy, ex Hull and now University of Bradford, Simon Iwaniszak ex RockStar and now of Red Kite Games and Paul Rayment, the PR Manager at Dubit who put together interactive games for BBC Enterprises among other customers. The discussion was led by Jamie Sefton of Game Republic, with Lindsay West doing the introductions. There was some very interesting discussion of how to get into the games industry. Some topics that emerged. A good portfolio (collection of things you’ve done) is crucial. And it should be content that goes beyond your coursework. If you send your portfolio anywhere, pay attention to presentation and delivery. Make sure it is properly addressed to the person in the company you are pitching to and make sure it is a well presented disk, in a case, with a properly printed label. It all helps to build your brand. An on-line presence is useful, but make sure you keep it up to date. Nothing looks worse than stuff that has obviously not been touched for years. Networking is hard but crucial. Going up to someone you’ve never met before and giving them your business card is really difficult (especially for a computer scientist). But you must do this. You will feel very stupid the first few times you do it, but it gets easier. And it gets you work. Conferences are useful, but you don’t have pay the huge entry fees to meet up with those in the business. You can often meet up with the movers and shakers just by dropping into the right hotel bar when the conference is in full swing. The business is going places. Things are in a state of flux, studios come and go, but there is still a need for people who can do this stuff. And it is still fun. And so, after a couple of hours of high quality discussion we reached the end and I had to whizz off to the dentist…. Jake Zukerman of BBC Look North sets up Lindsay for another take…. In between all the lectures and labs and other stuff for today we had BBC Radio Humberside drop by for a chat with some of our students and then BBC Look North came by to find out more about Three Thing Game and Platform Expo. The radio session was a hoot. Steve Redgrave (someone I’ve known since before he was famous) came along and did a storming interview with a bunch of our First Year students who told him all about the joys of studying Computer Science at Hull. The filming was fun too, although I never know where to put my eyes when someone is taking video of me. If I look at the camera I worry about seeming too intense, and if I look around I worry about seeming too shifty. And then there is the vexed question of which is my best side…. Anyhoo, it all passed off well enough. Yesterday we had a reporter and a photographer from the Hull Daily Mail come to see us and today I was delighted to find that the article had made it to print, with a great picture of some of our students and some quotes from a bloke referred to as “Rob Mile”. I’ll take that as close enough..
Later on Darren did a very good session about PS Suite, which is the new Sony game development they will be releasing later this year. We’ve got special permission for our students to use it in the Three Thing Game competition, and Stuart Lovegrove of Sony Studios in Liverpool will be taking a look at the things that they have made. All gripping stuff. And then tonight I’ve managed to build a Gadgeteer device that can talk to my Eggbot. Exciting times. 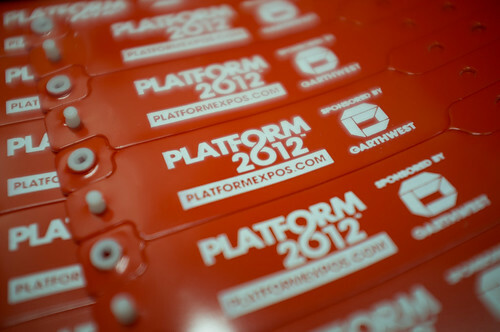 Platform Expo 2012 is picking up speed. It is all happening on the University Campus over the weekend with a whole host of events including our little Three Thing Game programming competition. I heard today that the folks from Raspberry Pi will be making an appearance, along with all kinds of other really interesting folks. You can find the complete program here, an there are special deals for Hull students that want to come along and join in. Or you could go for free. The organisers are looking for Helpful Souls who will be happy to take lend a hand. In return for spending some time showing people around the campus, helping folks set up and generally being a “Really Useful Engine” you will get free access to the event, a T shirt and a lovely Ubisoft goodie bag. This is the kind of helpfulness that also looks good on your CV. If you are interested in this opportunity or would like to find out more details, please send an email to Brett Rogers at minigrim@minigrim.karoo.co.uk and specify which day you are interesting in working, either Saturday/Sunday or both.